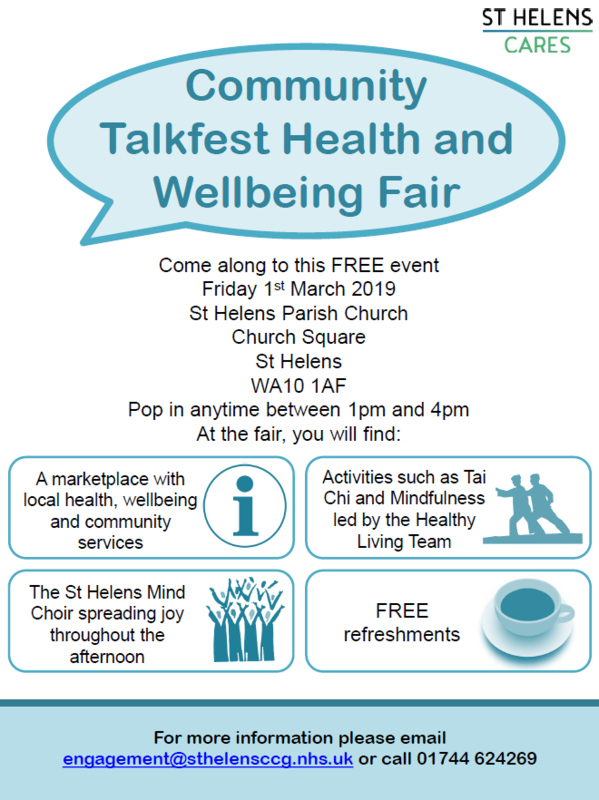 Talkfest Health and Wellbeing Fair - 18/02/2019 We will be at the Community Talkfest Health and Wellbeing Fair at St Helens Parish Church on Friday 1st March between 1pm and 4pm. 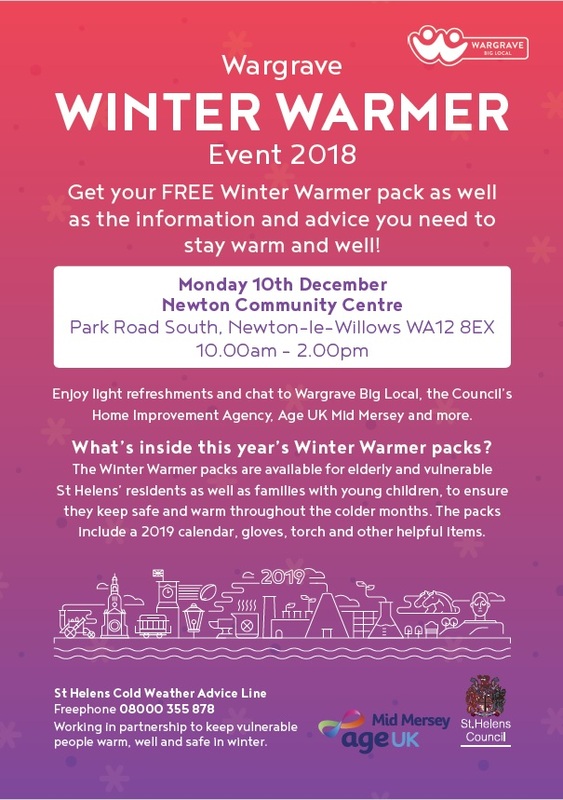 Wargrave Winter Warmer Event - 05/12/2018 A date for your diary. 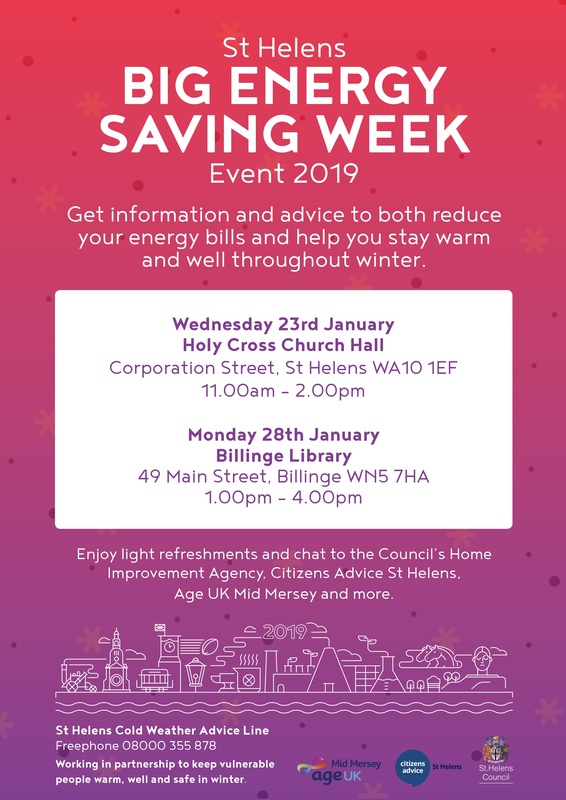 Come and see us on Monday 10th December 2018 between 10.00am and 2.00pm at Newton Community Centre, Park Road South, Newton-le-Willows, WA12 8EX.